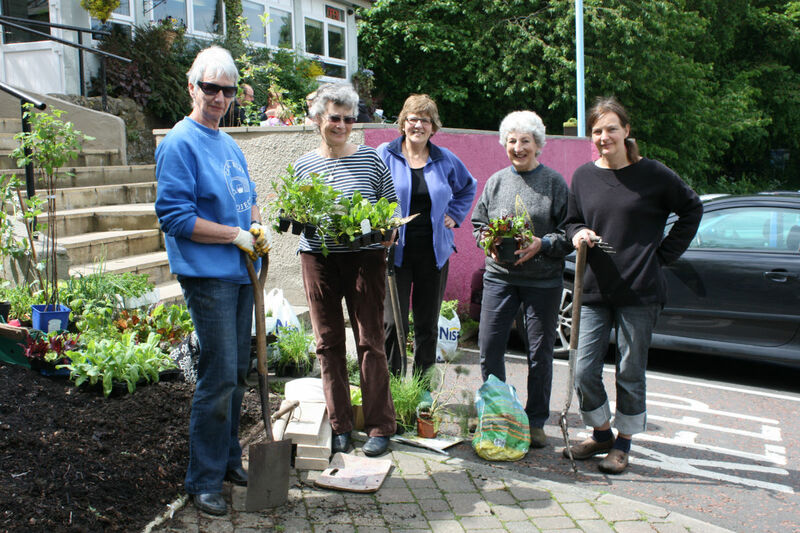 Two beds adjacent to the Wentworth Café in the Wentworth car park were planted by an enthusiastic team of volunteers this Sunday. Many thanks to Rosemary, Wendy, Elizabeth, Judy and Jo who planted, Michael who dug the holes for the tree and bushes, and to Ted and his son who brought a pickup load of mulch for us to finish the beds. And to the cafe for providing welcome cups of tea and water for the plants. Hopefully this will be the start of more debate about local food, get people thinking about where their food comes from, to support local food producers and encourage more to start growing their own. If vegetables can be grown in a car park – why not try it in your own garden ? More planting is planned this year for some areas in the hospital grounds and some new raised beds near Prospect House. We are also providing seedlings for some of the privately maintained planters in the town centre. This is just the start of what we hope will be a Tynedale wide move to plant edible produce throughout the area – and everyone is encouraged to harvest and eat it !! 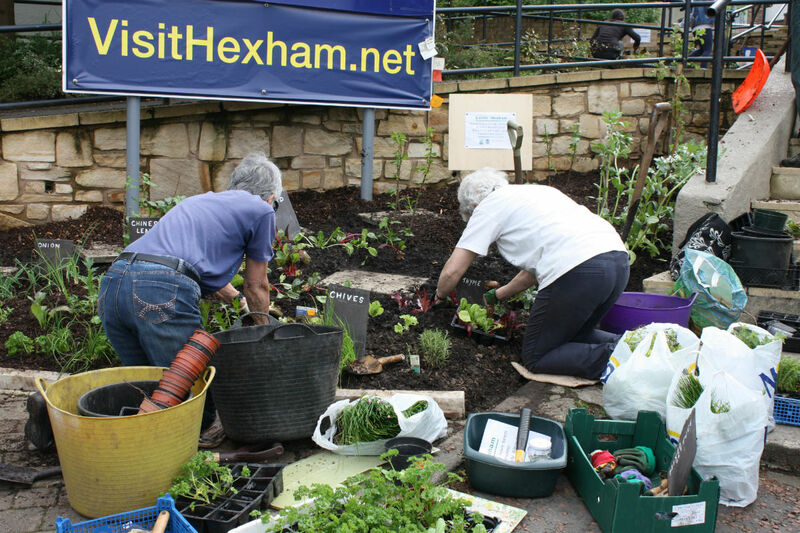 Next ›Transition Tynedale’s chance to influence how Hexham develops in the future.